00:00 | Lima, Nov. 8. Peru's mining investment amounted to US$3.239 billion, thus increasing 28% between January and September 2018 over the similar period last year, privately-run National Society of Mining, Oil, and Energy (SNMPE) reported. 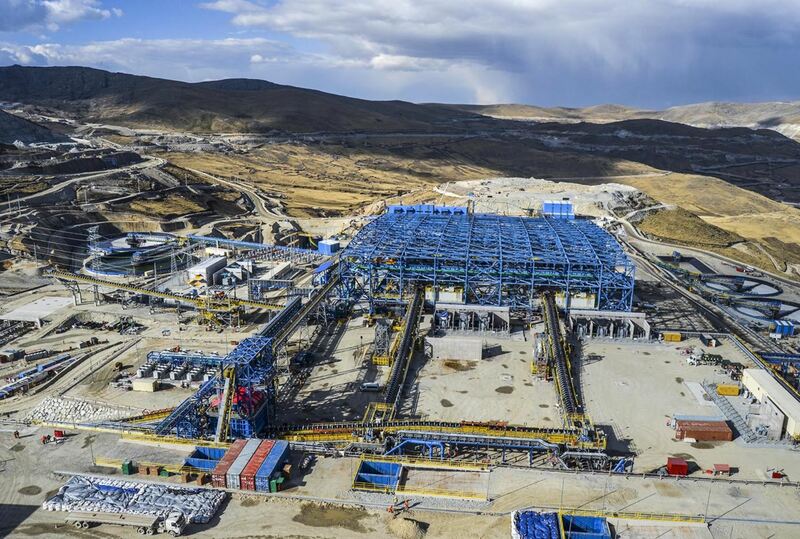 Just in last September, the Inca country's mining investments totaled US$489 million, a 46.2% rise compared to the same month in 2017 (US$334 million). According to the guild, four regions accounted for 50% of said investments in the nine-month period. These were Ica (US$527 million), Moquegua (US$421 million), Tacna (US$337 million), and Arequipa (US$329 million). On the other hand, SNMPE indicated the greatest investments were directed to the following spheres: Beneficiation Plant (US$949 million), Infrastructure (US$736 million), and Mining Equipment (US$405 million). Likewise, the mining sector created 205,000 direct jobs as at September.